Get a job in LBP! 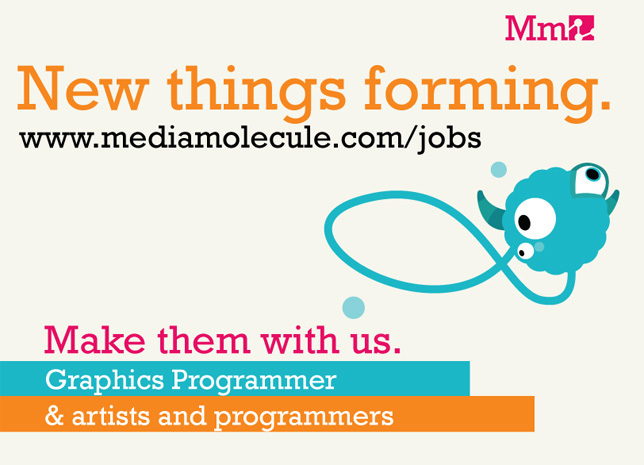 we need some good men and women to join us here at Media Molecule – specifically artists and programmers, and a combo hybrid of those two, the fabled graphics programmer. we Reallllllly want one of those! Also, think your good at making levels on LBP? Oh, you do? In that case, you’ll be very excited to know that Tarsier Studios, the developers of numerous LBP DLC and the creators of LBP Vita, are looking for experienced level designers to work for them. Check all that out HERE!